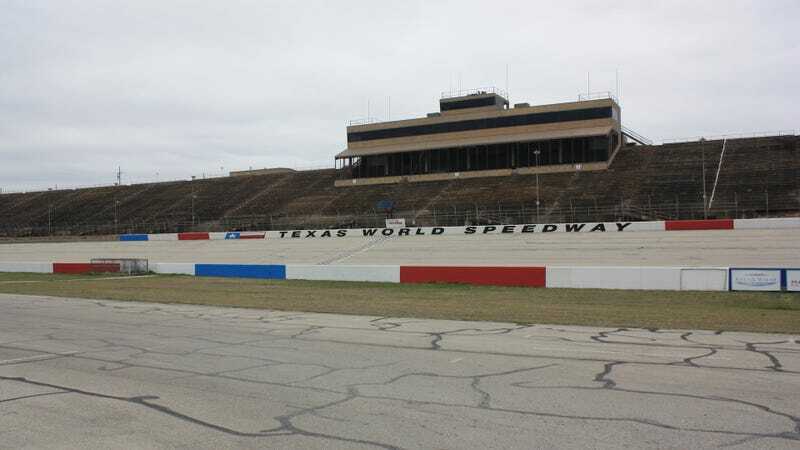 Last month, a week-long feud between two people ended in a shooting at Texas World Speedway during a non-racing event. The event promoter, local station KBTX reports, didn’t apply for the proper permits and resulting law enforcement to hold it. A county judge believes he did so to save money, KBTX reports. The event where the shooting occurred was promoted as the “4Horsemen 16th Annual Campout and Trailride,” which appears to host rodeo-like events and which a Texas World Speedway spokesperson said involved overnight camping. KBTX reports that the promoter for the event, identified as Marvin Scott, was arrested on Aug. 8 on charges of holding a mass gathering without permit. The shooting happened at the track, which lies in the outer parts of the College Station, Texas area, during the trail ride. Original local reports were that it started as a large fight, but Jalopnik confirmed with local officials that they believed the incident to be small and isolated as the result of a personal feud. Though the track spokesperson said there was already some type of security at the ride, the public-information deputy for the local Brazos County Sheriff’s Office, Nathan Dennis, said there was a large external police response. He told Jalopnik at the time of the shooting that the large response was due to the “fear factor” of the amount of people on site, which was believed to be about 8,000. “If (Brazos County) were going to require more security out there all of that is per hour per deputy, that’s a cost,” says Peters. An event requires a special event permit if there are more than 2,500 people, more than 500 people when both alcohol and minors are present, the event goes past 10 p.m., or if it lasts for more than 5 consecutive hours. According to Peters, when the county evaluates an application for a mass gathering permit, many county officials oversee the preparations. KBTX reports that Texas World Speedway owner Bill Mather, who’s also the developer planning to turn it into a giant housing development, said the track asked the event organizers to adhere to the law and that those at Texas World Speedway have cooperated with the investigation on the shooting. The punishment for not having a permit for such a gathering in Texas, KBTX reports, is a $1,000 fine or up to 90 days in jail. There have been no updates on Scott since his arrest.